With the start of the school year comes the start of the soccer season. Pork Chop, who’s six now, has been playing since he was three or four. Things have gotten easier since my kids both know what to expect when it comes to soccer practices and games. This year, there was a slight change to the routine; practices went from once a week to twice a week. And there are a few weeks where we have a Friday evening game followed by a Saturday morning game. We spend a lot of time on the soccer field. Last week, while chatting with another soccer mom, who has a toddler, we got onto the topic of keeping the younger siblings occupied. She mentioned how she is distracted by keeping her son occupied and from running into the field. Pea used to despise soccer practices and games. She doesn’t play soccer because she doesn’t want to and because I would hate for her to let down a team by sitting out when her arthritis is flaring. This season, she has a playmate whose two older brothers play on Pork Chop’s team. Her friend plays soccer and has practice herself on one of our practice days so there is one day a week where I have to deal with a bored and whiny child. Thankfully, she is not an emotionally unstable toddler. She’s an emotional kindergartner instead. Still a handful but more like clutching grains of rice in my hand rather than holding grains of salt. It got me to thinking about how hard it is to occupy other children during practices. I bring crackers, goldfish, teddy grahams, fruit and sandwiches. And if those options don’t work I bring out the treats. Lollipops or candy that are only allowed during soccer practice work because it is a “special” circumstance. I especially pull out the tablet during games because I really want to pay attention. Little kids can get bored and get fussy, especially when your attention is on a soccer game. Pea will play educational apps or watch something while I get to watch the game. It’s a win win. We’ve brought a blanket and favorite toys. I was recently provided a Kaboom Go out and Play Essentials pack from the folks at Imagine Toys for review. This pack is filled with tips and tools for classic outside fun. 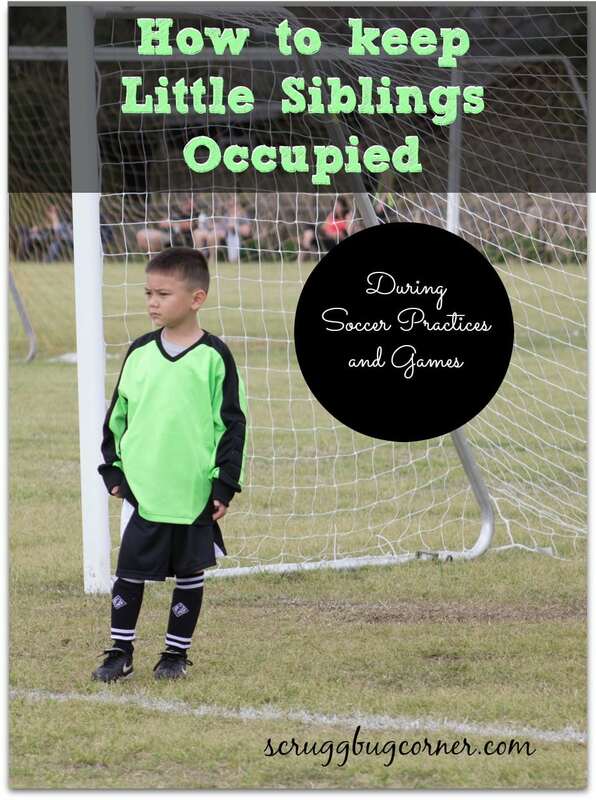 It is perfect for keeping siblings occupied during soccer practice. The backpack is sturdy and well made. It reminds me of the backpacks I had growing up. And by that I mean, the backpack has no licensed character on it and actually lasts the entire school year and longer. It is perfect for bringing to the soccer fields. It is big enough to fit the inflated ball in it along with food, blanket, waters, and toys! But in the end, the most important advice I can give to the mom with the young toddler is that she doesn’t have to stress about it. The soccer fields are filled with young kids during practice, both players and non-players. The other adults are all parents too. Most of them have spent practices and games trying to keep baby brother or sister from running onto the field to join in on the fun in the past. It’s a soccer field and kids are outside playing because it’s fun. I’ve found that for us, Pea’s acting out and whining was really an expression of feeling neglected and/or jealous of the attention that her brother was getting while on the field. When I am the most engrossed on the field and she is bored is when the issues are the worst. Through the years I have explained to her that soccer is his thing. When we go shopping or she puts on a show, that’s her thing and she gets all the attention. It doesn’t mean that I love him more. It means that he deserves as much of my attention during his turn as she does during her turn. She has turned into one of his biggest cheerleaders and sometimes coaches him from the sidelines, which always cracks me up. The special treats help too! How do you keep the siblings who are on the sidelines with you occupied at practice? I can’t wait for soccer season to start! Last season we had a few younger sisters on the sidelines and they played “Frozen” and were so precious I had difficulty focusing on the field! My daughter and her friend stood on a bench singing frozen at practice yesterday. It was so cute. This is helpful! I’m often in such a rush not to be late that I forget to bring things to keep Zavier occupied when Arielle has her activities. He usually ends up on my phone (which I hate) or jumping around the waiting area (which other parents hate). I’m lucky if my MIL or my husband are around and I can leave him with them, or if I can schedule an activity for him at that same time. 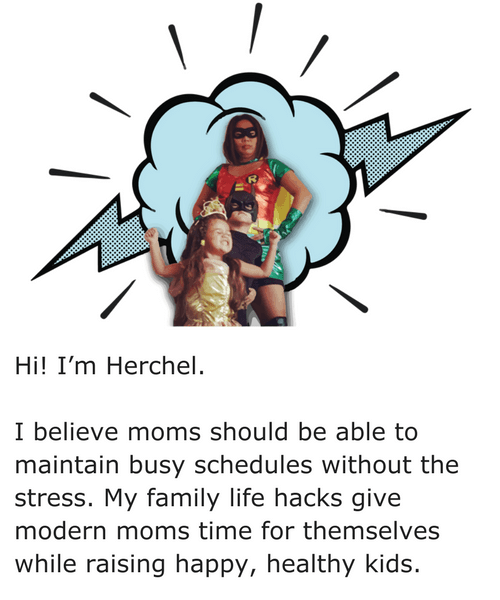 Gracielle recently posted…Mommy A-Z, where have you been? It has gotten much easier since the kids have gotten older. that’s for sure! Right now the boys play soccer and Frances dances. She helps with practice since she’s old enough and keeps her younger brother occupied during the older brother’s games. They also know they have to sit respectfully and watch quietly during her dance performances. We talk about family being a team and supporting each other in everything we do.